On Saturday night, Floyd Mayweather proved why he could be the very reason why the sport of boxing & pay-per-view as a whole can probably be saved. He gave the audience a complete show. Flat out. For the first time in his career, Mayweather actually look vulnerable early on against Marcos Maldana, who was a huge underdog going into the fight. From round 1, Maldana proved that he wasn’t going to be afraid or intimidated of Mayweather’s style, bravado, confidence, the entire package that makes up the idea of Floyd “Money” Mayweather. Floyd “Money” Mayweather improved his record to 46-0 on Saturday night by defeating Marcos Maldana by unanimous decision. From rounds 1-6, you can make a point that Maldana was keeping even with Mayweather because he was being aggressive & going after “Money.” But in the 6th round & through the end of the fight, Mayweather knew how to clinch the big rounds & he did. Convincingly. People can say what they want about Mayweather the person, but what he does better than anyone in history except Muhammad Ali, is promote himself & the fight. Prefight, there was the controversy about the gloves that Maldana was going to wear, which was basically to create buzz & publicity & get a few more PPV orders that night. People in Mayweather’s camp was insinuating that the fight could be off because of this. Please. When Mayweather was going to get $32 million for the fight, & with revenues & such well over $50 million & Maldana was going to have a strong payday as well, the fight was not going to be cancelled. No way, no how. During the fight, it was an actual slugfest. If you follow Mayweather’s career closely, he is one of the greatest defensive fighters of all time & can move around so fast that many fighters don’t get hits in on him. Maldana was one of the few that was able to actually get in-between Mayweather’s hands a bit & hurt him some. Where Maldana failed was that he punched himself out too early going for the kill in the first 3 rounds. You can’t beat Floyd Mayweather without being patient & boxing a fight of pure science as opposed to just trying to muck it up the way that he did. Mayweather waited his time & became far more aggressive to close the fight, landing over 54% off his punches. He was efficient, tactical, & the scores showed it. In the post-fight news conference, Mayweather still found a way to entertain the audience, giving Maldana the credit, but he was letting people know that he is truly the best & that he will not lose. With the Manny Pacquiao fight likely never going to happen because of Pacquiao’s business relationship with Bob Arum & Mayweather never wanting to do business with Bob Arum again, Maldana might be the best contender to coming close to ending Mayweather’s streak. Another potential fighter who Mayweather may have to see soon is Amir Khan, who looked strong tonight on the undercard. Khan is a tactical fighter, very similar to Mayweather, & knows how to finish rounds off well. With 3 fights left on Mayweather’s Showtime/CBS deal, he could very well have his contenders lined up in that he can fight Maldana in September, as he agreed to at the press conference, fight Khan sometime early next year & have another young contender to close out his career because lets be honest, the Pacquiao fight has little to no chance of happening at this point in his career. 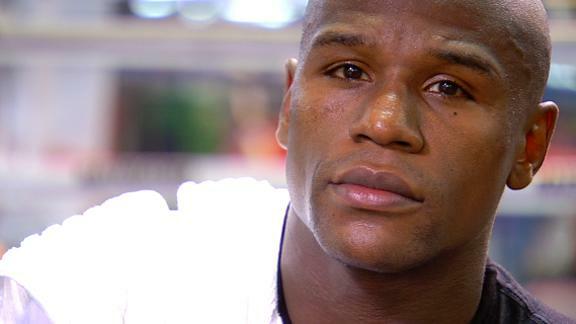 However, the other big question is what happens when Mayweather decides to leave the sport? He will be 38 or 39 years old, & its clear that he has other interests going on, with being rumored to be in contention to purchase the Los Angeles Clippers after the Donald Sterling fallout last week. He even mentioned to movie mogul Joel Silver that he wants to catch a Los Angeles Clippers game with him even though Silver typically only goes to Los Angeles Lakers game during the post-fight news conference. Almost as in WWE with its big stars, Mayweather gets the idea that he will have to be the one to make new stars & stars that people will care about to keep the PPV boxing business alive. With WWE going to the WWE Network, Mayweather is the ONLY real draw in PPV boxing right now & the only event that can come close to rivaling Mayweather fights is a major UFC card. It is becoming time to put together to next big draw, or boxing on PPV as we know it will end. Mayweather knows it & gets that. One of the main guys that will most likely take over that platform could be Adrien Bronner. He can fight & has the style & brash to be a major draw similar to how Mayweather is. But he’s not ready for that right now. For now, Money is the King. But the king almost got knocked off that throne tonight. Which will mean more money for everyone later.